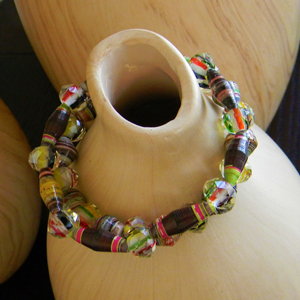 Browns, greens, red and other earth colors swirls around these bangles made up of tube paper beads mixed with glass with the different color of the cane glass showing through. It looks like what I call “organized chaos” because once you put it on it just looks good together. Today, Kayla and I will be setting up our booth at the CHA, couldn’t wait to share with you how it will look like, we have a bigger booth this time! 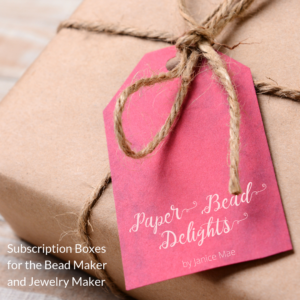 Hooray for paper beads! 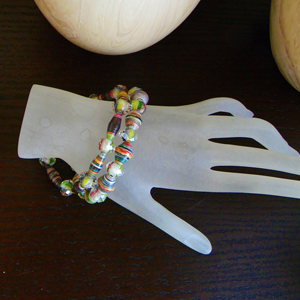 what pretty multicolored bracelets ! nice mix ! I wish you much success at CHA. 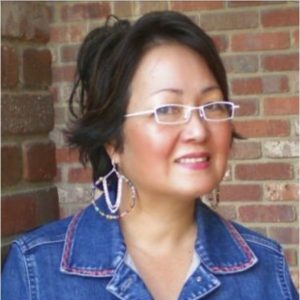 long live paper beads! 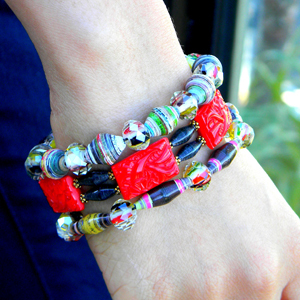 The bracelets are really great together. Good luck with the show. Wish I could be there to see it. I am looking forward to pictures. I know you will be a big hit. How many days is it? Thank you Manou and Gisela. It is from Saturday-Tuesday, we set up our booth today, of course there will be pictures!